Looking for a great gift for the golfer? This embroidered towel is perfect! Club and ball design with, Best (Name) by Par. The design measures approximately 5 X 5 inches. The royal blue towel shown has Grandpa, but other name and color options are available. 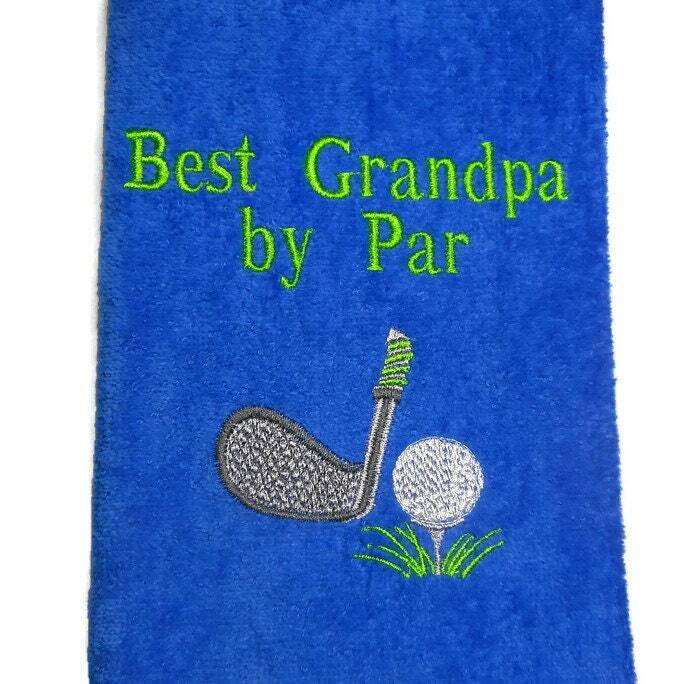 This towel is perfect for a birthday, Father's Day, anniversary, or retirement gift for the golfer in the family. Excellent...Arrived exactly as ordered and promptly. Seller did wonderful job personalizing my item and towel was very nice quality.